An absolute must-have for any teacher of business English. 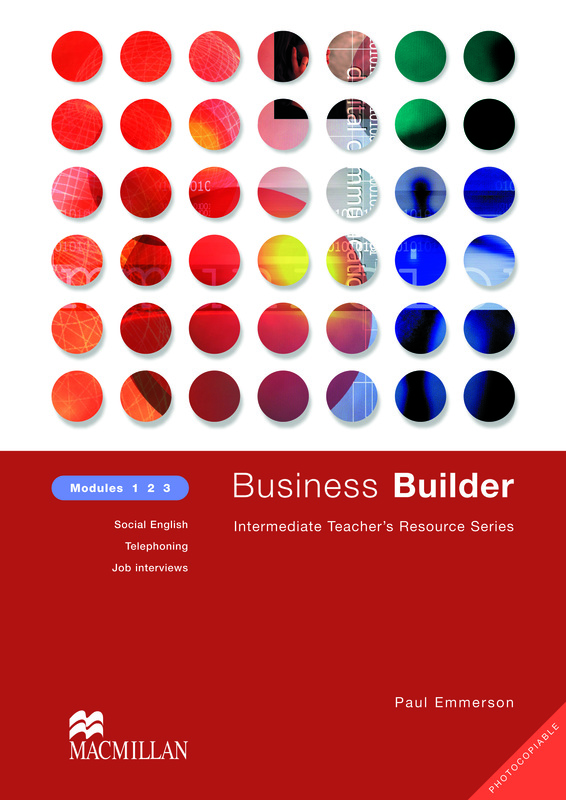 Business Builder is a series of photocopiable resource packs providing excellent material for the business English classroom in three separate modules. These are ideal because of their flexibility of use - suitable for either groups or one-to-one, any profession or business area and as a complete course or a supplement. Each module is at an Intermediate level, but most activities are extendable to other levels. The series is ideal for creating your own business English course as it covers language development, skills training and a full range of business communications skills. All the materials you need to create the ultimate business English course!